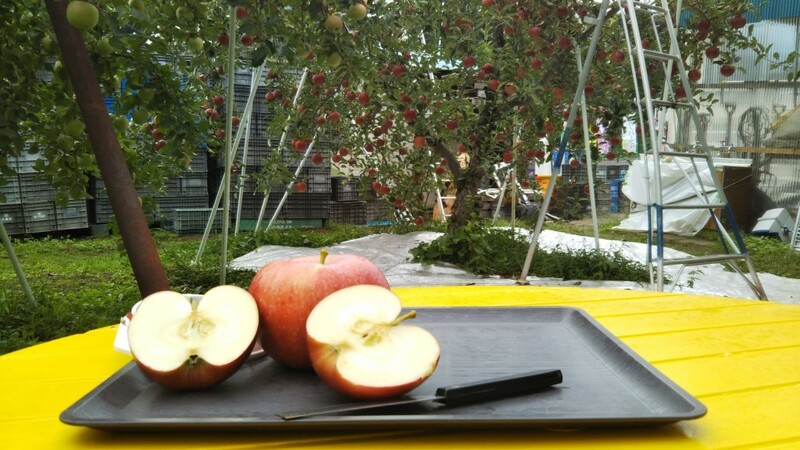 Nagano is synonymous with apples. Ripening to perfection each autumn, apple-picking directly from local orchards is an enjoyable (and delicious!) 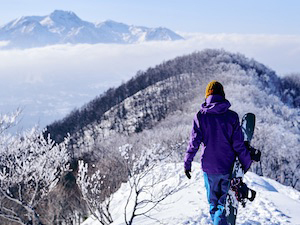 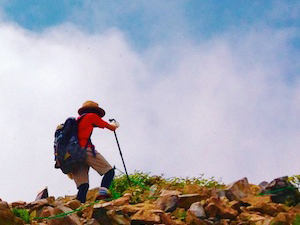 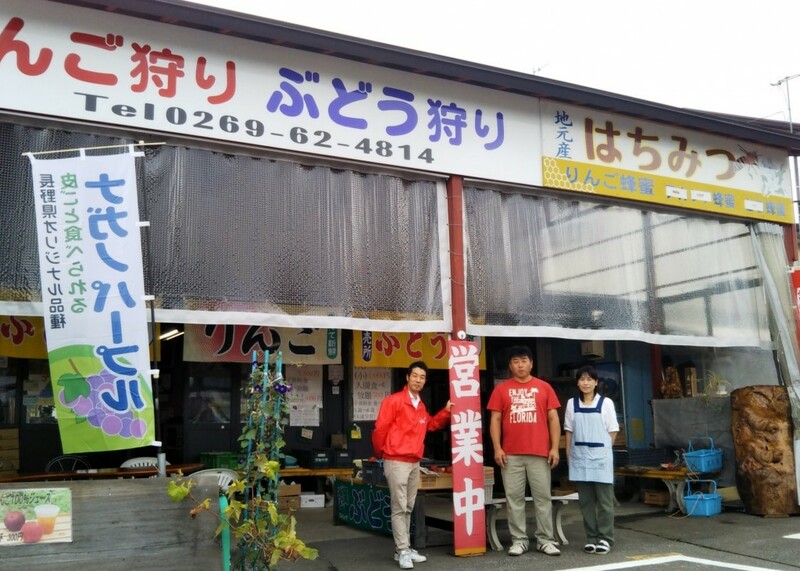 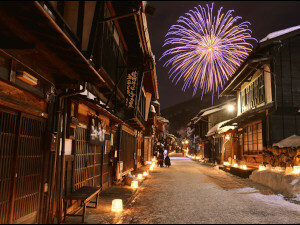 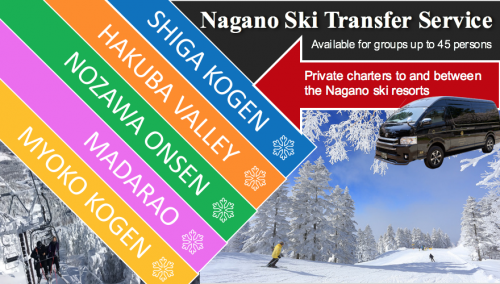 activity that can be done with family and friends within easy access of JR Nagano Station. 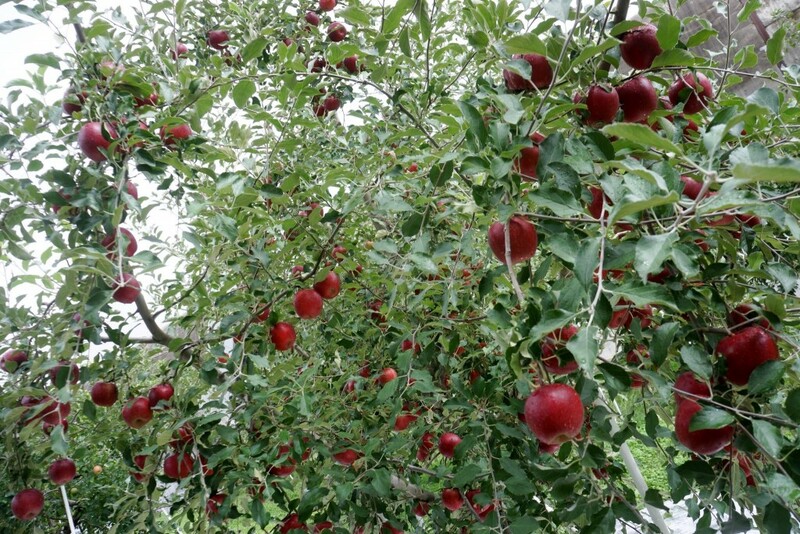 From September 25th and November 30th 2018, Nippon Travel Agency (NTA) will be welcoming the public to a renowned fruit farm in Iiyama, Nagano for apple-picking including all-you-can-eat. 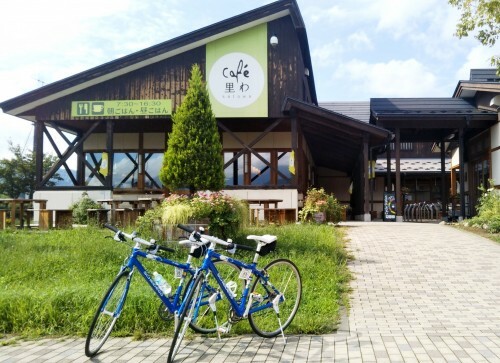 Visitors to Nagano are amazed at the variety, taste, and size of local produce, and with abundant mineral-rich water and fertile soil, Nagano’s produce is not just delicious but also big – very big! Located within easy walking or cycling distance of JR Iiyama Station, the orchards grow many apple varieties, ripening to perfection at slightly different times from September to November – several of which are only found in Japan! 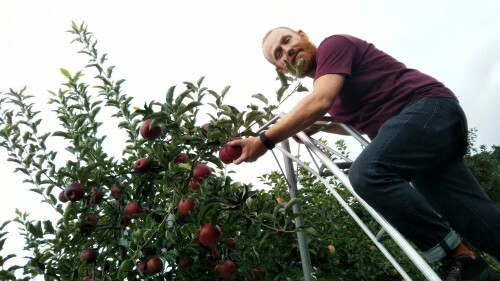 International visitors will likely be familiar with Jonathan apples, known for their crisp bite and juicy nature. As a medium-sized, red-skinned apple this variety is as popular outside of Japan as it is locally. San Fuji apples are the most popular variety in Japan and possibly, the entire world. A hybrid variety originating in Japan, these are very large apples with dense flesh and a crisp texture. 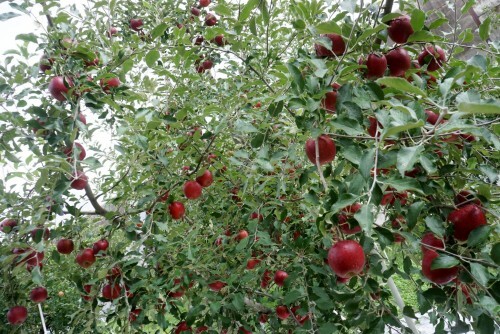 Highly fragrant their popularity stems from a balanced taste of sweet and sour. 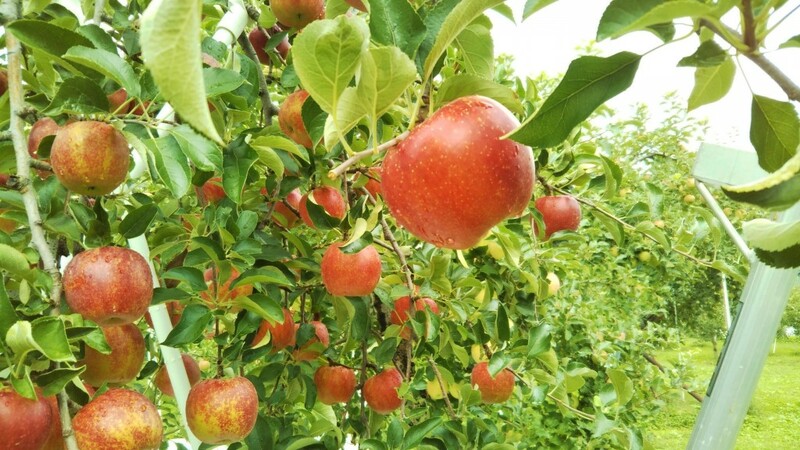 October is an especially good time to visit the farm with the varieties known as the “Three Apple Brothers” ripening and ready to be picked. 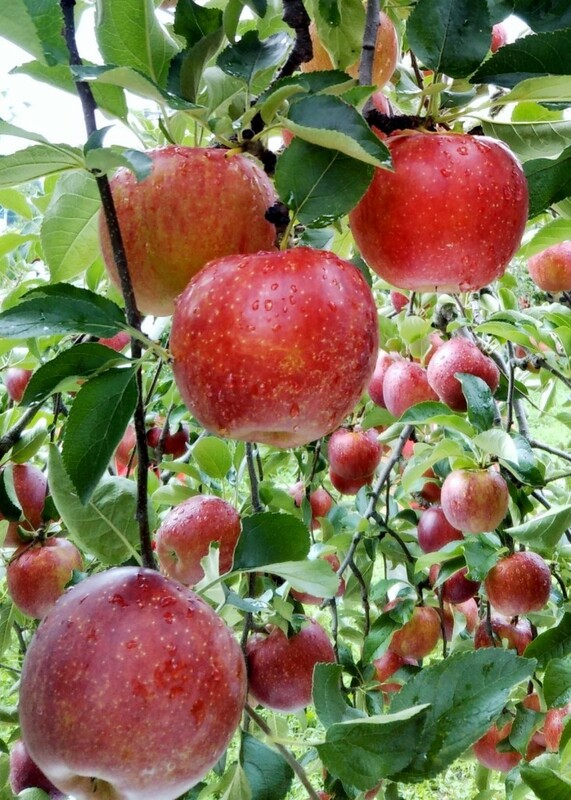 Akibae apples are a deep-red, slightly speckled Japanese variety and very juicy. 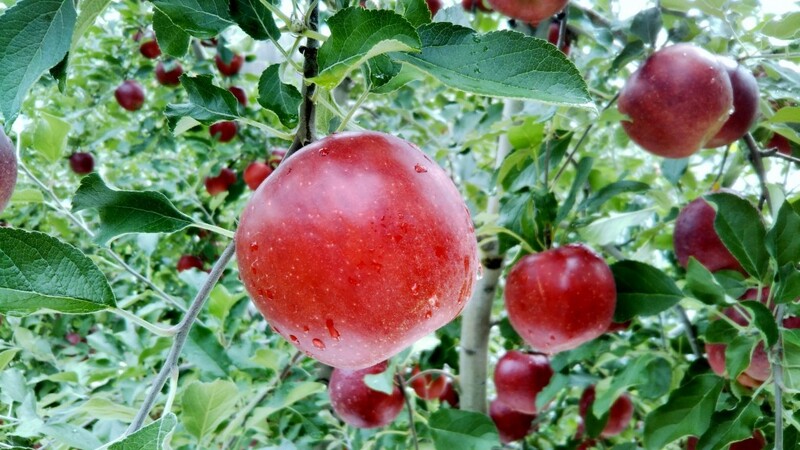 Shinano Sweet is a lighter-colored, red apple known for its powdery flesh and fragrant, sweet taste. 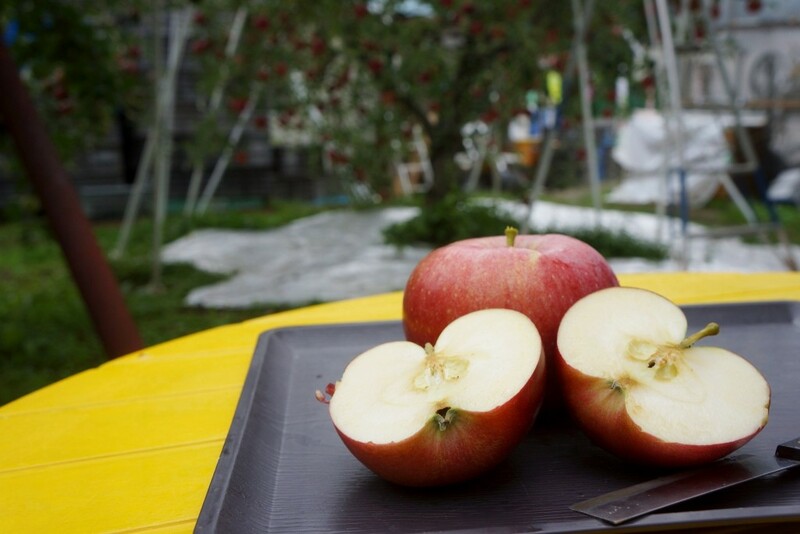 Rounding-out the delicious varieties available at the farm, the Japanese Shinano Gold is an distinctive smooth yellow-gold skinned apple, with a crisp texture and sweet, sub-acid flavor. 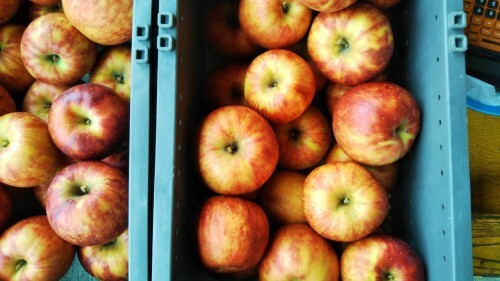 As a medium to large-sized apple, it holds tropical notes of pineapple, pear, and honey, at its best from mid-October to late-November. As previously featured, Makoto Shiozaki has been growing apples for years and looks forward to welcoming visitors to his orchards each autumn. 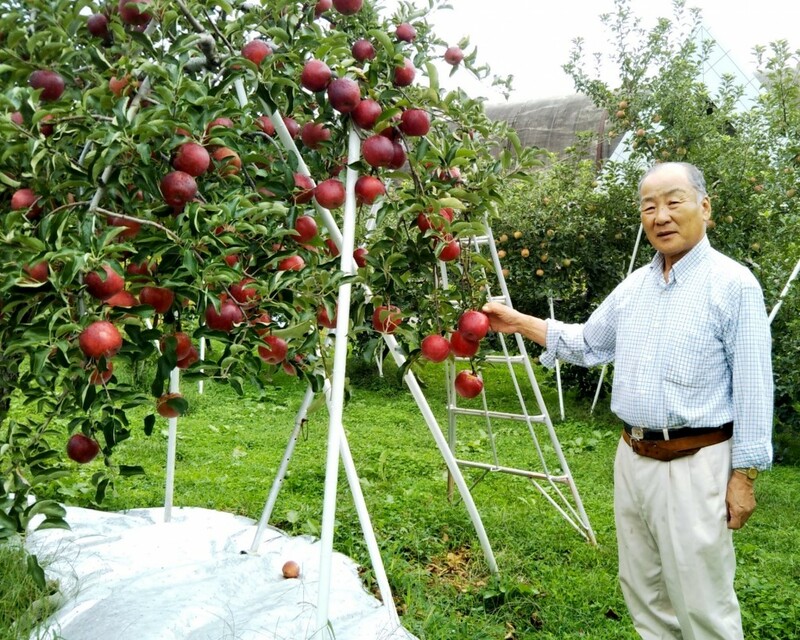 Makoto’s father also remains an active presence around the farm, and together, the family creates an open and welcoming atmosphere for international visitors. 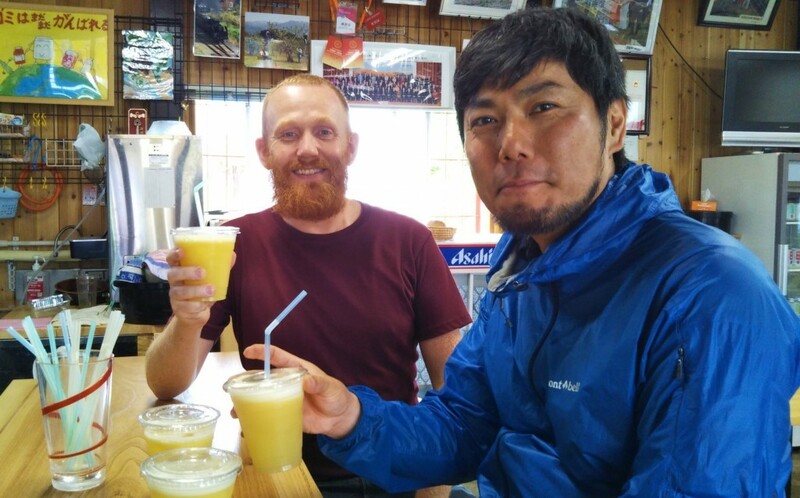 The farm is run in conjunction with Japan’s longest operating tourism operator, Nippon Travel Agency (NTA) and has English-speaking guides on-hand to assist with your experience. Guides and signage direct you to the trees and fruit ready to be picked – with all you can eat (JPY1200) and for a small additional charge (+JPY150), your selected apples can be pureed into the freshest apple juice you are likely to find! The perfect outdoor activity in autumn and easy day trip from JR Nagano Station, the Snow Monkey Park, and beyond! Autumn apple-picking includes the assistance of English-speaking guides, unlimited time picking directly from the orchards and all-you-can eat while at the farm for JPY1200 per person or JPY1500 per person if you’d like to take 3 apples with you (in addition to all-you-can-eat while at the farm). 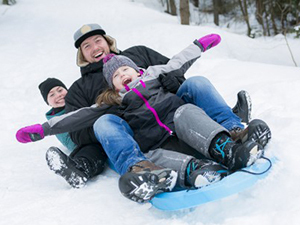 Children aged 0 to 3 years of age are free of charge. 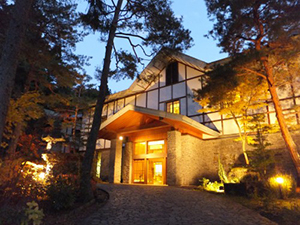 The farm is open to the public every day of the week from September 25th to November 30th 2018, between the hours of 10:00 to 16:00, and contactable by phone on +81-(0)70-3352-0540. 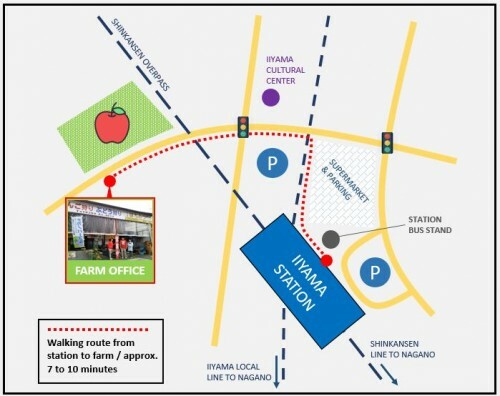 The farm is easily accessible via JR Iiyama Station, making it an easy day trip from the Snow Monkey Park, Nagano Station, and Tokyo. 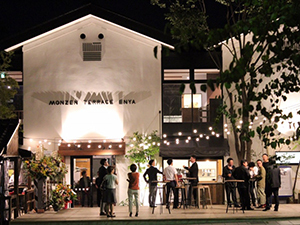 For detailed directions please refer to our previous article. 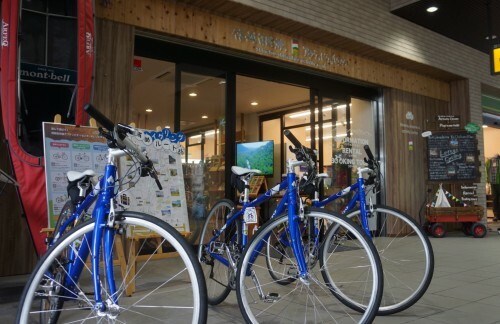 JR Iiyama Station Activity Center has a range of rental bicycles available, a convenient and enjoyable way to visit the farm and explore Iiyama and the surrounding farmlands. 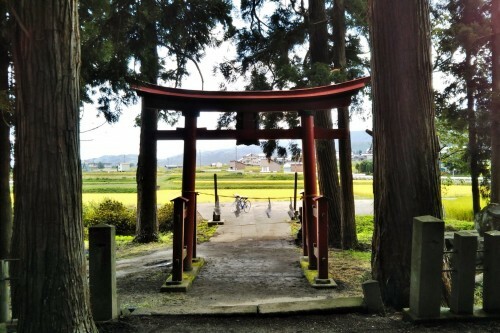 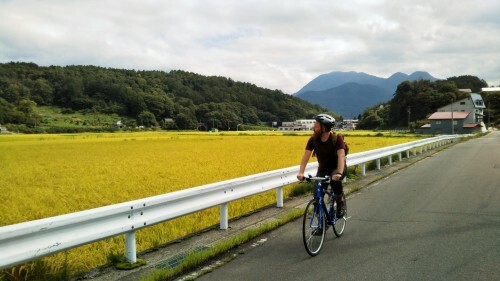 Starting at JPY500 for 4 hours (with a range of higher priced bicycles and options), cycling to the farm and beyond to explore the historic temples and castle ruins of Iiyama, and further afield into the farmlands surrounding town, is the perfect way to take in the vistas and beautiful days of autumn. 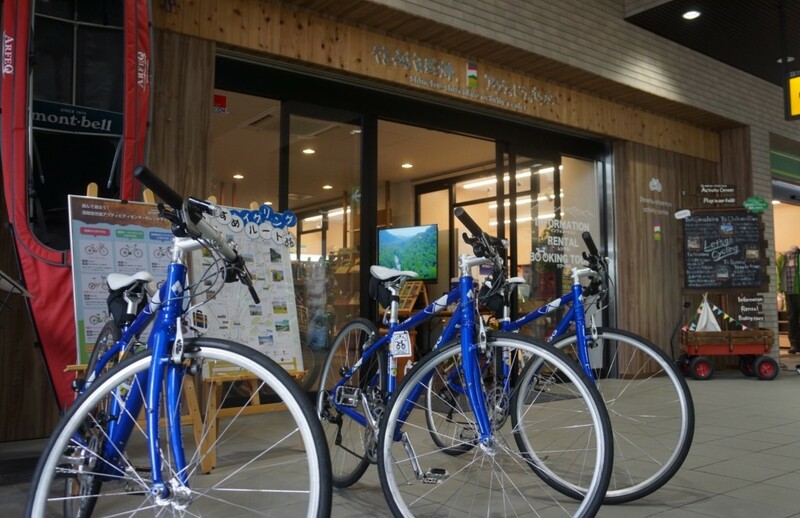 JR Iiyama Station Activity Center has a range of English and other foreign language materials including a free Cycling Guide Map covering Iiyama and the surrounding area – making apple-picking an easy and enjoyable day trip from Nagano Station!